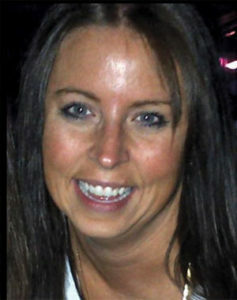 Stephanie DeBoer was sentenced to four years in prison. Facebook photo. A Cedar Springs woman will spend four years behind bars for embezzling over $300,000 from a union she did bookkeeping work for. Stephanie Marie DeBoer, 41, of Cedar Springs, was sentenced on February 20, 2018, to four years in federal prison, according to U.S. Attorney Andrew Birge. U.S. District Judge Paul L. Maloney imposed the sentence. Judge Maloney also ordered her to pay full restitution, and to serve a period of supervision after completing her prison term. DeBoer was the former office manager and bookkeeper of the International Brotherhood of Electrical Workers, Local 876, in Edmore, Michigan. Between 2012 and September 2015, DeBoer embezzled more than $307,000 from the union by writing unauthorized checks to herself and others, making unauthorized payroll deposits, sending money to pay her credit cards, and making unauthorized purchases. Among other things, DeBoer used more than $89,000 of the embezzled money to make payments on 16 different personal credit cards, and made more than $54,000 in unauthorized charges on two different union officers’ union-issued credit cards. The unauthorized charges included $907 for Katy Perry concert tickets and more than $5,000 in purchases from Victoria’s Secret. “Stephanie DeBoer abused her fiduciary responsibility as the office manager and bookkeeper by embezzling more than $300,000 from the International Brotherhood of Electrical Workers – Local Union 876. We will continue to work with our federal and state law enforcement partners and the U.S. Department of Labor’s Office of Labor-Management Standards to safeguard the assets of union members,” said James Vanderberg, Special Agent-in-Charge, Chicago Region, U.S. Department of Labor Office of Inspector General. “Safeguarding union finances and combatting embezzlement of union funds in labor unions is a very high priority for the Department of Labor’s Office of Labor-Management Standards,” said Ian Burg, Detroit-Milwaukee District Director. “The embezzlement by Ms. DeBoer was significant, and the $307,563 she embezzled for her personal use was the equivalent of more than 15 percent of the union’s annual dues receipts and nearly 25 percent of its reported cash on hand. The case was investigated by the U.S. Department of Labor Office of Inspector General, and the Office of Labor Management Standards. It was prosecuted by Assistant U.S. Attorney Clay Stiffler.